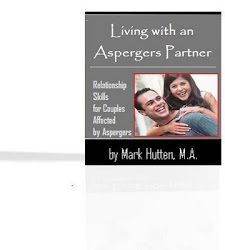 Chat for Adults with HFA and Aspergers: It’s Asperger’s! Should You Share the News? "I’ve got a question. Long story short. My wife (of 1 ½ years) and I were having some serious problems that resulted in us going to counseling. One of the things that came up was the counselor suggested I get tested for autism. I did. And I have it – Asperger syndrome that is. But I’m 38 years old and the diagnosis may change things (not necessarily in a positive way). I’m not sure how I feel about this or what to do about it if anything. This is my second marriage. My ex doesn’t know, neither do my kids (3). I’m self-employed so it obviously didn’t affect my work in any way. But my question is should I tell them about this new revelation or just keep it under wraps? So far the only person that knows is my wife." Finding out that you have Asperger’s usually results in a mixed bag of emotions. You may feel relieved in a sense, because now there is a reasonable explanation for why your life has taken the twists and turns it has over the years. You could feel worried (e.g., “What are people going to think about me now?”). There might be feelings of sadness, because you hoped you were “normal.” Shame, anger, and a host of other emotions may be racing through your brain once you get “the news.” Through all of this may come the need for telling some “safe” people about your disorder and how it has affected you. If you are faced with having to tell some important people in your life that you have Asperger’s, the first thing you need to do is educate yourself about the disorder so that you can answer questions. Start with those closest to you, beginning with trusted family members and close friends. These individuals may have already had their suspicions (i.e., they knew that something wasn’t quite right). So, advising them of your disorder may not be a shock at all. Instead, it saves them from filling in the blank with their own false assumptions regarding your past behaviors and attitude. Everybody is finally on the same page now. The confusion is lifted. I recently counseled a father who was diagnosed later in life and divulged the diagnosis to his adult children. As it turned out, it was a very healing moment for them, because it gave them an explanation for why he was (in their words) “seemingly more interested in work than with the family.” They still harbor some resentment, but now they know it had more to do with the disorder rather than his “lack of love” for them. Simply telling others that you have a brain problem that results in certain symptoms (e.g., problems relating to others, anxiety, obsessions, ritualistic behaviors, etc.) may be enough. Pick your top 3 to 5 symptoms (i.e., the ones you experience the most) to use in your descriptions, and just mention those. There’s no need to come up with a lengthy laundry list of symptoms – even if you experience all of them. This will just serve to increase – rather than diminish – the confusion. After the people in your life that you trust become accustomed to the diagnosis, you may want to consider speaking to others about your disorder. There will probably be other people outside of your circle that will benefit from understanding Asperger’s and how it affects you (e.g., extended family, your employer, coworkers, etc.). You don’t need to tell the entire world, especially if others don’t see much of a problem with your behavior. 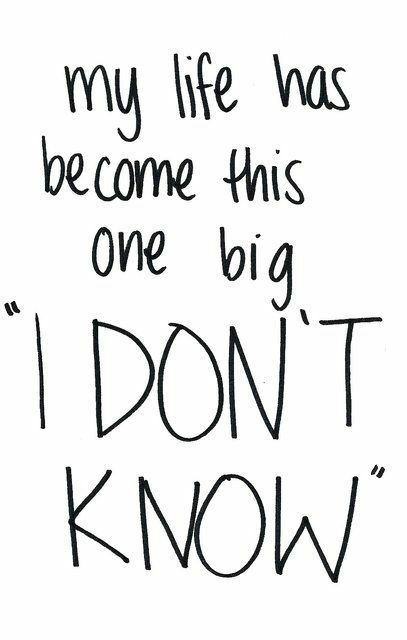 What you do eventually say can be as simple as “I have a brain disorder” or as complex as explaining the disorder to its fullest to those who are genuinely interested. Certainly, the conversation needs to take place every time new and important people show up in your life (e.g., a boyfriend or girlfriend). Also, know that Asperger’s is more well-known and more easily understandable than it once was, and there are a lot of people that have been diagnosed in recent years. So, there’s no need to feel reluctant or embarrassed about sharing with others what is already a fairly common issue. • Anonymous said… For sure share all of your and her family. It will explain your life time of actions and behaviours that they probably triggered without knowing it. I'm 48 and was diagnosed 5-6 years ago. My Mother new something wasn't right but didn't make any efforts to find an answer. Although it was much harder diagnosis back then but impossible. Had a friend with Asperger. She made me stay away from him for five years until I was a teenager and started hanging out until many years later what he had. His parents new back when he was a child. I spent alot of my childhood being scolded for not making eye contact and told to let people see the hands a face moments. So I spent many hours a week in my bedroom trying desperately train myself to mask it. My meltdowns were just considered me just being a mean person by people who triggered it without knowing it. Luckily my wife stayed with me through it all and has lost most of her family because of it. Don't ever be ashamed of who you are! Hope my story helped at least some. • Anonymous said… I agree. Husband diagnosed after we had been married nearly 40 years. We are still processing the effects. Get comfortable in how it affects your life. Everyone is different in that. Once you discover that you will be more comfortable in explaining how you process every day events and how that translates to the people around you. You need to work on this together with your new spouse. • Anonymous said… I bet that the people around you already think that you are aspie anyway. It is so common these days. • Anonymous said… I totally agree with this reply...felt like an elephant got off my back when I was diagnosed...I'm 68. • Anonymous said… I was diagnosed at age 44 during my 3rd marriage. I kept it to myself because I happen to be an autism specialist in a public school. But my co-workers already knew! • Anonymous said… Just do what feels right for you, if your still processing it all then wait till you are comfortable with telling people, no need to force it. • Anonymous said… My father was aspergers, his brother had aspergers. My 1st cousin on my dad's side has aspergers. My oldest daughter has aspergers. My son has, but refuses to speak about it. According to Dr. Tony Attwood, arguably the world's for most authority on autism, states that is is 90-95% Hereditable. That should be reason enough for you to be telling your kids; chances are it came to you from someone else in your genetics. • Anonymous said… Share after you, yourself, are comfortable with it. It took me about 3 years to really figure out what it meant to me. It was, however, a BIG relief because I could always "bear it in mind" and things made so much more sense. The release of pressure of "not understanding" why I was what I was actually helped me learn how to cope better and more effectively. BTW, welcome to the club - we're "not like the others" in both negative and positive ways. • Anonymous said… Well a late diagnosis is becoming more common. I was diagnosed in my 40s. I think you need to give yourself time to process it and what it means. A diagnosis for me means I can give my self permission to avoid things and places that stress me out. Not all family were supportive but that's ok. The main thing to remember is that this is nothing to be ashamed of. This is part of who you are but it's not all you are. Take time get comfortable with it and then see if you want to share or not. • Anonymous said… We're all different I've read a lot of books on the subject especially about adult males with it. I haven't been officially diagnosed but my daughter has and my wife knows that I am too. Probably most important is to to learn how to keep connected with your wife shes the glue that will hold you together generally aspies can come across as cold and uncaring (I do- cant get my head out of a computer) and I have had to work hard to try and see things as she does and really talk to her. Secondly to see if any of your kids are and decide whether you want an "official" diagnosis for them. Its tough on my wife having two of us in the household. My daughter and I understand each other in a non verbal way which drives my wife nuts but we also are both stubborn which leads to a lot of yelling when we both wont give way. Try not to regret too much as you learn about it the past lost opportunities or hurtful errors you may have caused I keep getting flash backs lately of things I know I screwed up 30 years ago and knowing now why doesn't help. Being self employed seems to be the only way many of us can make a living because we just cant go into work everyday and cope with other peoples.....sh*t. There are a lot of books on it out there but as I said it seems no two of us are alike. I can recomend "The journal of best practices" & "Odd girl out" which give two aspies different views on their worlds ( both are different to mine) also online "living with an Aspie partner". Finally repeating talk openly with your wife its tougher than you think.